Working with DLANDSTUDIO, the firm WXY leads planning and feasibility study of a 3.5-mile greenway park on defunct rail lines, for cultural and recreational uses. 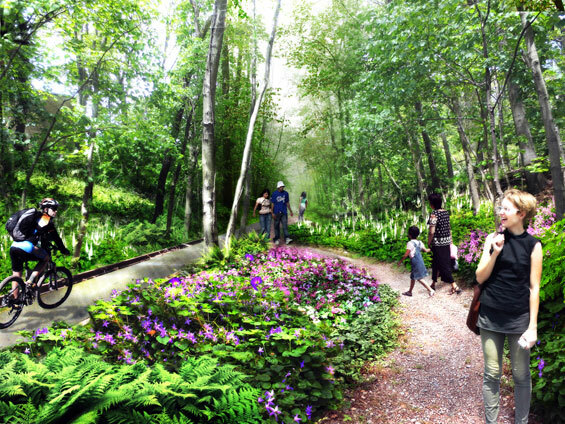 WXY Architecture + Urban Design and DLANDSTUDIO Landscape Architecture & Architecture have been selected for the commission to lead a feasibility study and planning phase for the QueensWay, a conversion of a 3.5-mile section of abandoned railway tracks and structures into parks and recreational paths. According to the Trust for Public Land, which today announced the competition winners along with Friends of the QueensWay, the park conversion is similar to projects like the 606 (Bloomingdale Trail) in Chicago, which is turning an elevated railroad into a pedestrian and cycling greenway. The QueensWay will provide a new amenity for the adjacent neighborhoods, including Rego Park, Forest Hills, Glendale, Richmond Hill, Woodhaven and Ozone Park. It will also create a new connection between Queens’ dynamic communities so that people can access and experience the borough’s vitality. The feasibility study will be funded through a $467,000 grant from the State of New York’s Office of Parks, Recreation, and Historic Preservation, in cooperation with Governor Andrew Cuomo’s Regional Economic Development Council. The project has also received support from private donors including Citi, the Tiger Baron Foundation, and the Booth Ferris Foundation, moving the project closer to reality after two years of grassroots efforts by the Trust for Public Land and Friends of the QueensWay. 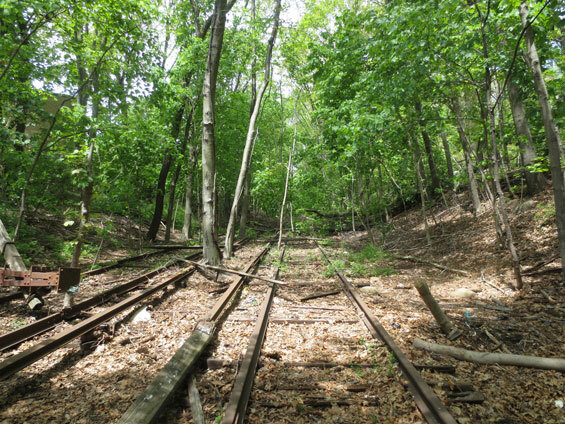 The feasibility and planning study will set the stage for transforming the dormant 3.5-mile-long former Long Island Rail Road line in Queens into a public greenway, or linear park, according to the Trust for Public Land and Friends of the QueensWay. In making public the selection of the team of WXY and DLANDSTUDIO, the groups have initiated a 10-month process to develop and complete a strategic plan with conceptual designs. The studies will assess the elevated structures and analyze environmental conditions, including trestles, bridges and embankments. The strategic plan will also delineate recreational uses and environmental benefits of the greenway parks, as well as a process for making decisions on the QueensWay’s program and design. 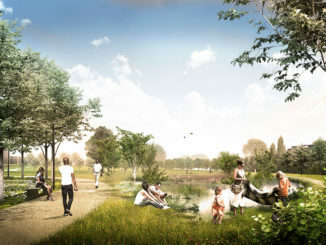 In this way, the final report will reflect the views of local residents and provide the road map for a new, iconic park. 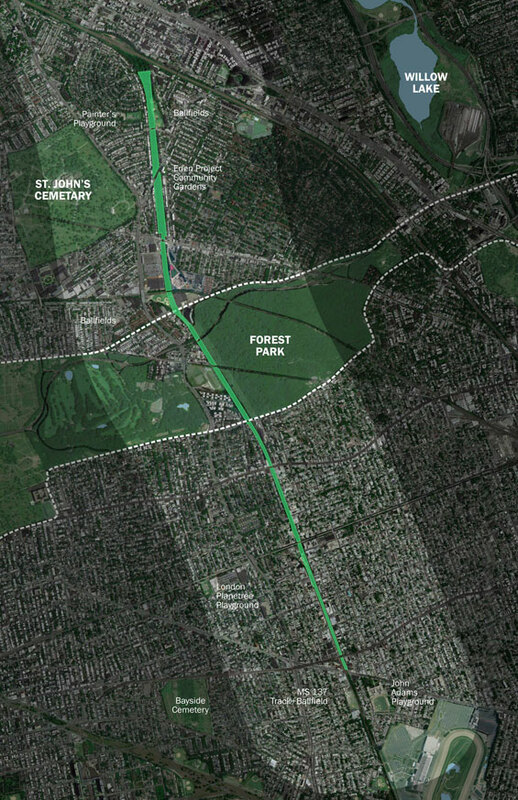 According to the Trust for Public Land, many thousands of people stand to benefit from the proposed QueensWay green connector and park. About 250,000 residents live within one mile of the former Long Island Rail Road line, which has not had active rail use since 1962. The Friends of the QueensWay and the Trust for Public Land project that the new cultural and recreational amenity would provide a significant economic boost to the borough. The plan and feasibility study are the first major step.